Exhibiting artists: Jiří Kolář, Běla Kolářová, Karel Malich, Václav Boštík, Jiří Balcar, Ladislav Novák, Dalibor Chatrný, Jiří Valoch, Eduard Ovčáček. Is it possible to read images and to see words? The difference between image and word obvious at a glance, distinguishing between the visual and verbal manner of communication, or put simply, between seeing and reading, appears to be much more complicated. Vision is connected with thinking and words; on the other hand, one does not only read a text or a poem but also perceives it through the sight. It means that apart from obvious differences, there exists a mutual relation. Images intertwine with words, blend or clash with them and replace them, yet at the same time both these forms retain their specific features. They are two different media, but with potential reversibility. The reversibility of image and word was explored by 1960s art. 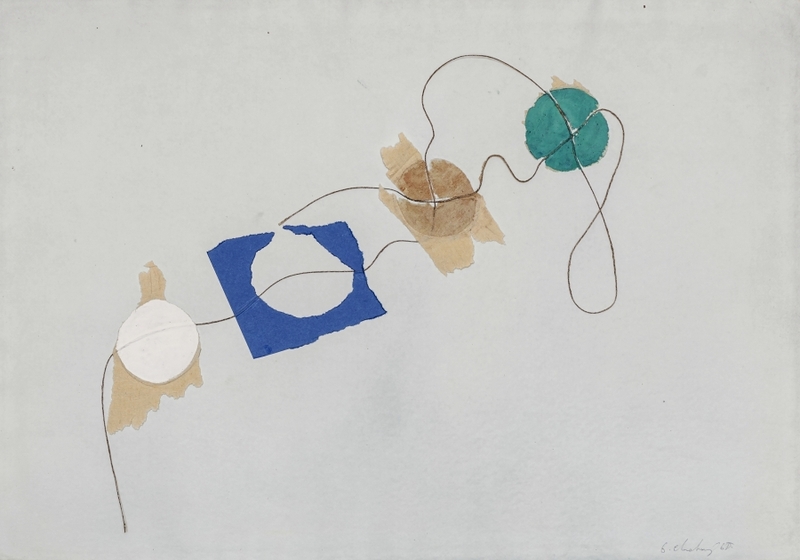 Strong stimuli were provided by new experimental procedures and artistic intermediality; art responded to the “linguistic turn” in philosophy and semiology. Both these aspects were specifically reflected in Czech art. Literature sought new means of expression through visual poetry, art was inspired by the visual form of words. Artworks reflecting the relationship between image and writing were showcased at an exhibition of the same title held in the Václav Špála Gallery, Prague in 1966. We now return to this subject, presenting it in six theme circles. The selection criterion was not just the primary use of words and letters in artworks but also the specific relationship between images and words. The circles focus on various forms of the relativization of meaning manifested, for example, in the breaking-up of text and in the visualization of its fragments, the contradiction between the signifier and the signified, and in a quest for new ways of communication outside the conventional system of language. Last but not least, they also address what we actually see and how. 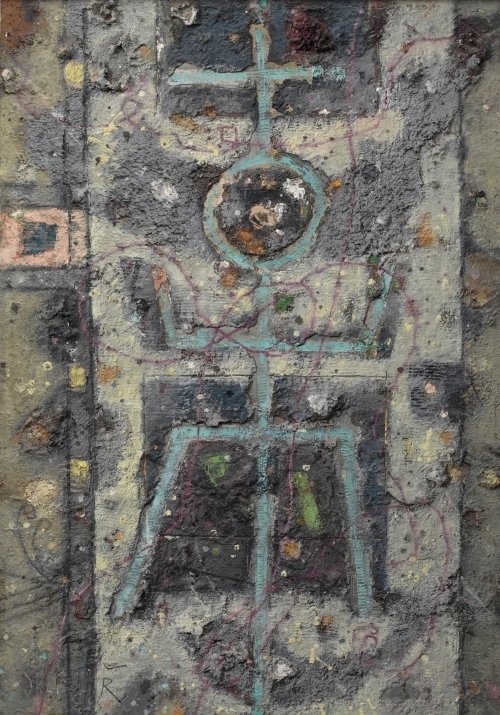 Jan Křížek and Václav Boštík took an interest in “primitive” cultures, archaic symbols and the rhythm of the ornamental order from the second half of the 1940s. They sought a more direct path towards the capturing of phenomena and strove to get to the roots of image and writing. Through simplification, symmetric and rhythmical segmentation they arrived, in the late 1950s and early 1960s, at an approach to image as a sign. This largely involved flat linear drawings and paintings resembling primeval symbols and elements of pictographic writing. The artists abandoned the mimetic capturing of reality and sought conceptual bases for particular objects. Křížek’s drawings gradually evolved from stylized figures to abstract gestic lines, as if the artist was going through developmental stages from image to sign. He therefore referred to writing as an “advanced stage of painting”. 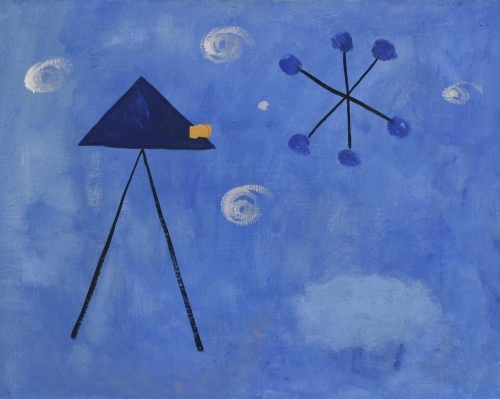 Boštík reduced shapes in a way that “a painting no longer shows an object, it merely represents it”. 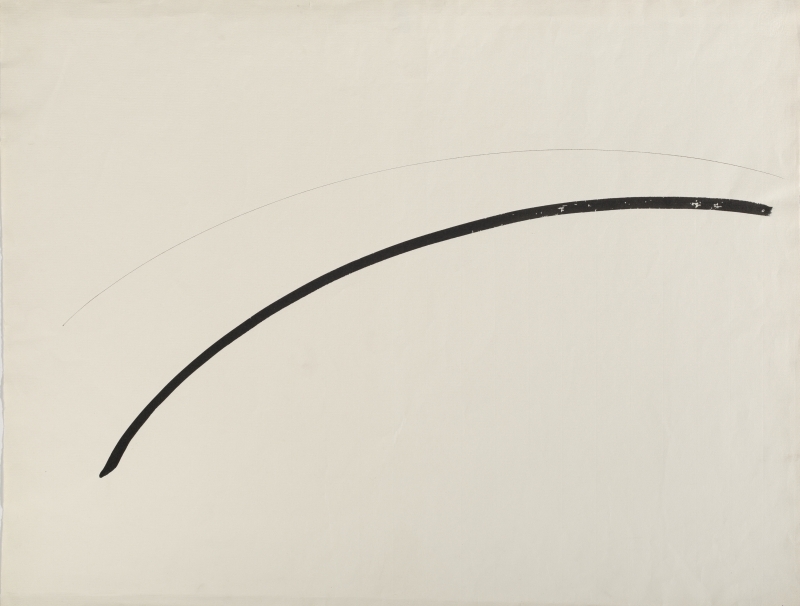 Karel Malich subscribed to the same approach in the early 1960s, while Zdeněk Sklenář chose a reversed procedure: his point of departure was not an image but signs of the Chinese alphabet. He emphasised the visual aspect of Chinese calligraphy; in his paintings, original verbal meanings turned into purely visual ones, although a reference to writing can be still noted in the subtext. Asemic writing has the same effect as a primitive, inarticulate language used, for example, by Dadaists. It defies rationality. We suspect that we are looking at a kind of handwritten record from the roughly observed sequence of lines; however, we are not able to read it, all we can see is a chaos of lines. In contrast to a comprehensible text, we notice its visual form. “Visible writing must be illegible,” asserted Roland Barthes, a French philosopher and aesthetician, in a study about the American artist Cy Twombly. According to Barthes, writing does not only record words, it is not only a message communicating information, and it is not simply a set of generally comprehensible signs. What is essential is the gesture, the creative act that communicates something hidden behind the words. This statement can be also applied to Jiří Kolář’s “analphabetograms” and “loonygrams” from 1961–1962 that tested the potential of handwriting within a deliberate suppression of rationality, as well as to Letters and Zen Poems by Ladislav Novák inspired by automatic writing. Squiggles from Decrees and Letters by Jiří Balcar referred to another type of incomprehensible writing - Kafka-esque, absurd and directive bureaucratic documents. They were instigated by a personally experienced awareness of the emptiness of words, of the impossibility of communication. 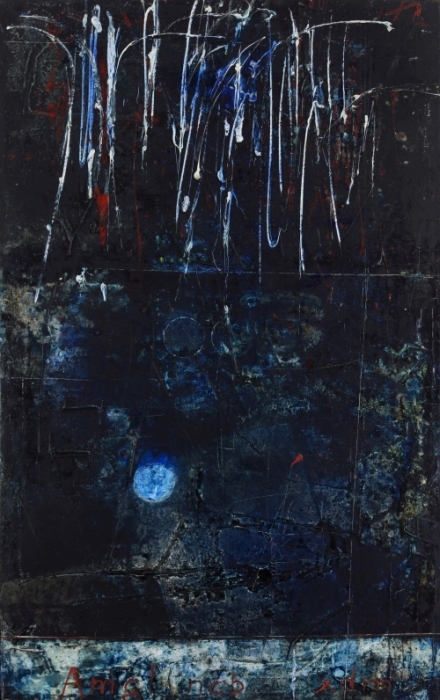 The expressivity and rhythm of the pseudo-records of asemic writing are very close to gestic painting manifested, for example, in pictures by Jan Kotík, Miroslav Šnajdr and Zdeněk Kirchner. A word is not just a sign intended for reading, as noted by Josef Hiršal and Bohumila Grögerová in a lecture in 1962; it also has a visual potential that can be developed. The couple had in mind, in particular, newly created poetry; nonetheless, the principles that they promoted were also reflected in visual art. Jiří Kolář who had previously experimented with words in his poetry came to realise that a word could be “cut, torn, deformed”. In a creative dialogue, the Třebíč poet Ladislav Novák and Jiří Kolář invented new artistic procedures. They both deconstructed texts, torn them and cut them, layered fragments and made writing illegible. In 1961 Novák started to work on the Roses cycle, pages from magazines and books that were first glued and later cut-through with scissors. With Kolář, the composition of text fragments culminated in chiasmages, areas covered in a seemingly chaotic layout of text scraps. The name of this technique is derived from Greek and means “crossing”; chiasmus also denotes a stylistic ornament in which “words in a sentence are shaken like nuts in a sack”. Similarly, Kolář shook fragments of texts and glued them not according to the logic of meaning but according to a new optical order that he himself created. These pieces are closely related to geometrical structures by Zdeněk Sýkora and Hugo Demartini and to light energy fields by Václav Boštík from the same period. A letter is the basic building unit of a word that only has a limited meaning potential on its own. 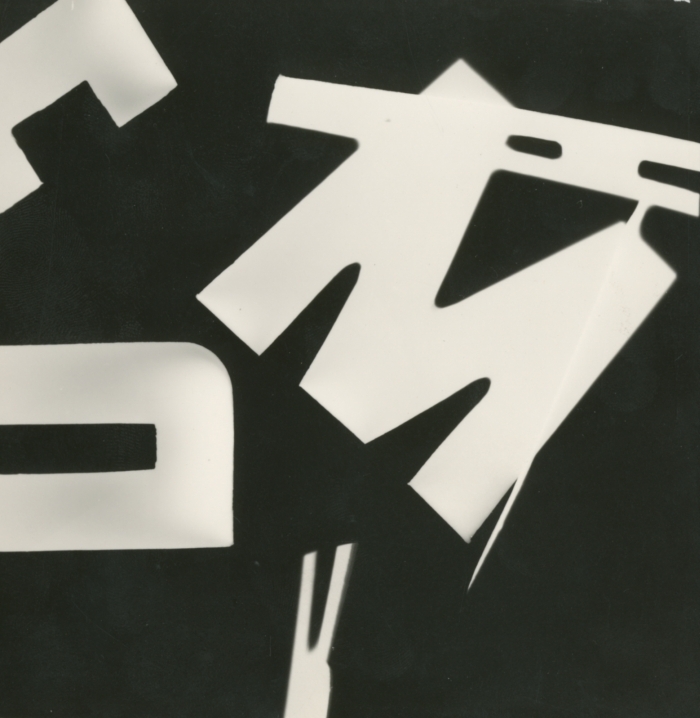 Both futurists and Dadaists tried to change this, turning letters into visual signs. The same approach was later advocated by Paul Klee. 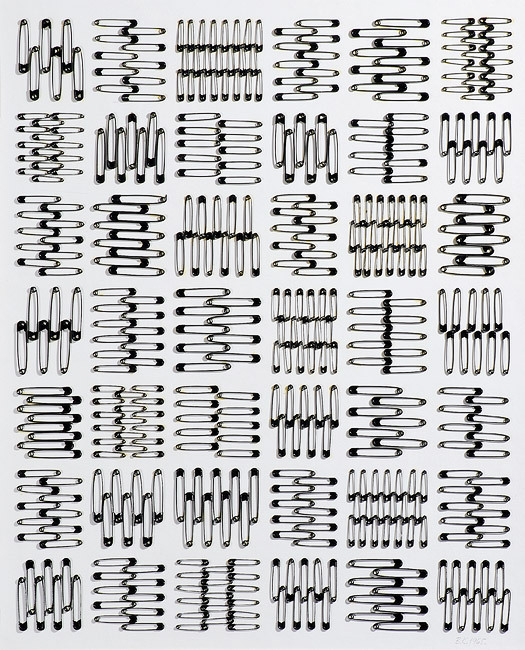 In the 1960s a letter became the starting point of visual poetry that most frequently involved a typewriter with a fixed repertoire of letters and signs. Meanings were created by their arrangement on a page. The results included typograms, typewritten structures and “words-images” (Josef Hiršal, Bohumila Grögerová, Vladimír Burda, Ladislav Novák, Jiří Kolář, Václav Havel and others). 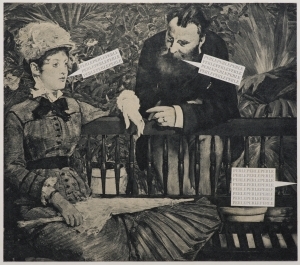 Jiří Kolář depicted the liberation of letters from the prison of words in a collage with an explosion and scattered letters. The artist also liberated letters from words in his other collages, destroyed the alphabetical system, examined the state before the birth of the alphabet and language. For that matter, Kolář viewed language, along with Lévi-Strauss, as a means of slavery. He wanted to “say everything differently”, as he titled a typogram consisting of a handful of scattered letters. Artists Dalibor Chatrný and Jiří Valoch worked with individual graphemes as well. There is another area that should be pointed out in connection with language and letter experiments: children’s books. A number of renowned authors/artists such as Hiršal, Grögerová, Kolář, Fuka, Brázda and Nováková took an interest in this discipline, which was enabled by a greater tolerance for children’s literature, perhaps even by the misunderstanding of experimental elements that the writers could sneak into it, often disguised as educational aspects and playfulness. Although this area is more or less marginal, it contains elements that the mentioned artists also stressed in their “serious” work, i.e. the relationship between image and word, the verbal and visual presentation of things. In addition, the connection with children also corresponded to the search for a kind of proto-language roots of communication. 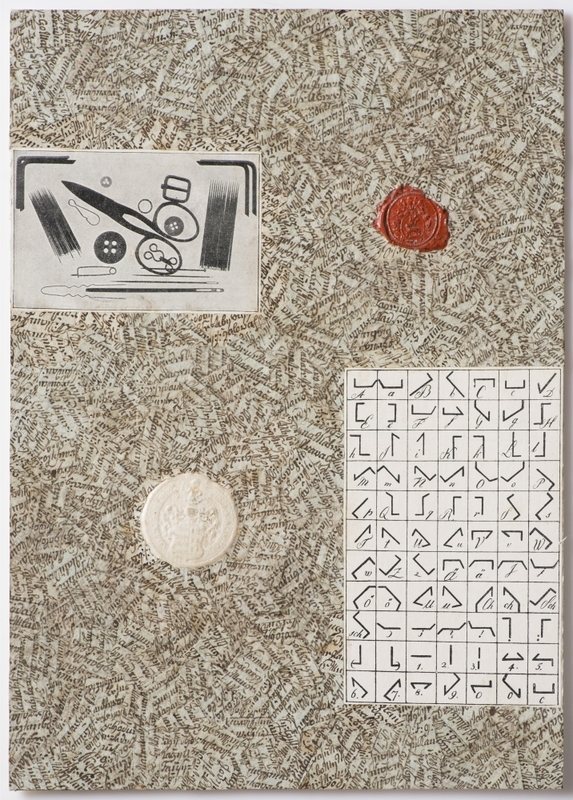 The words “there is yet another kind of writing“ can be seen on a fragment of a collage by Ladislav Novák. The artist combined various scraps of photographs, imprints, stains and gestic signs as if assembling a sample book of possible forms of communication replacing words. 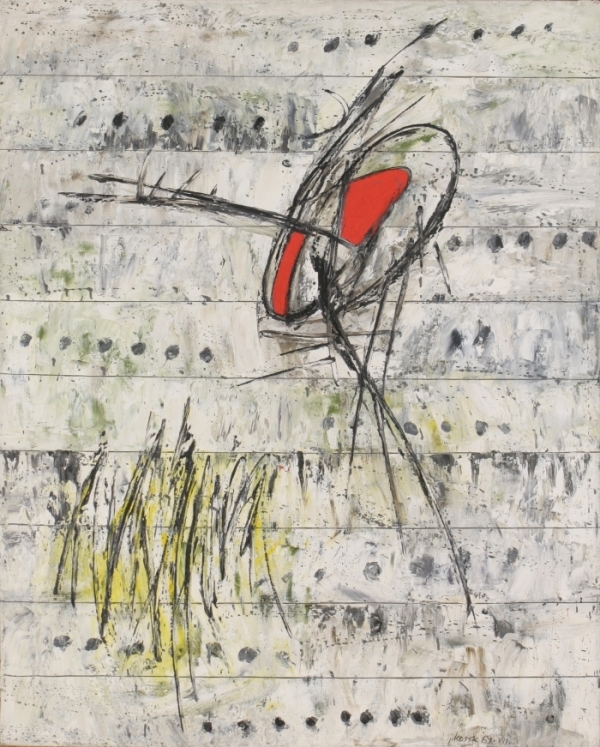 This work was connected with both visual experiments and the then felt “crisis of language” that had grown mechanical and bureaucratic. “Through the constant use of words I realise their uselessness”, Věra Linhartová commented sceptically. Artists found a solution in the replacement of words with images or things, by which they freed the words from their mediating role. However, images and things did not directly replace words, in contrast to school readers where pupils are supposed to find correct words for pictures and reading is thus simplified. Visual and object poems were completely liberated from a system of denoting something with an image. One only notes their visual aspect, or associatively intuits hidden meanings. They refer to an ideal state before language that is no longer accessible to us. 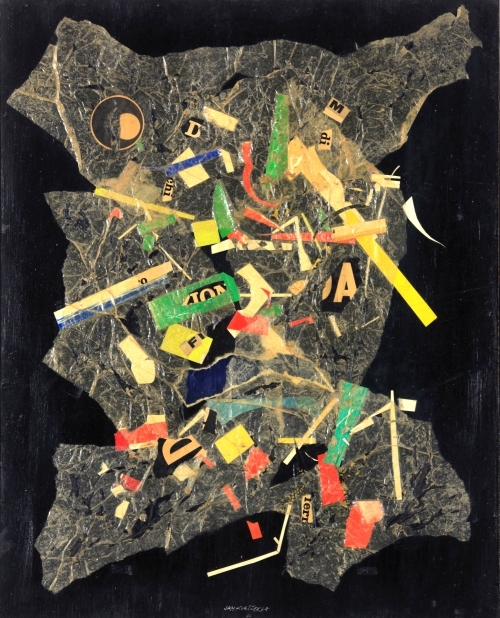 This area involves Jiří Kolář’s pictorial and object poems and Běla Kolářová’s picture alphabets and assemblages; structures of arranged elements by Dalibor Chatrný can be also included in the circle of collage and pictorial poems. Artists responded to the devaluation and downgrading of language, as well as to its moral abuse, by a search for different forms of expression. At the same time, they wanted to reflect what was happening to words. They saw that words meant something else, that words were often direct opposites of what they were supposed to mean. This discrepancy between reality and how it was verbally denoted was felt very strongly, and also echoed in visual art. It was, in particular, Václav Havel that would seek and criticize language absurdities. In the typograms of his Anticodes he pointed out the contradiction between the signifier and the signified. This element gained momentum in the “normalization” period. 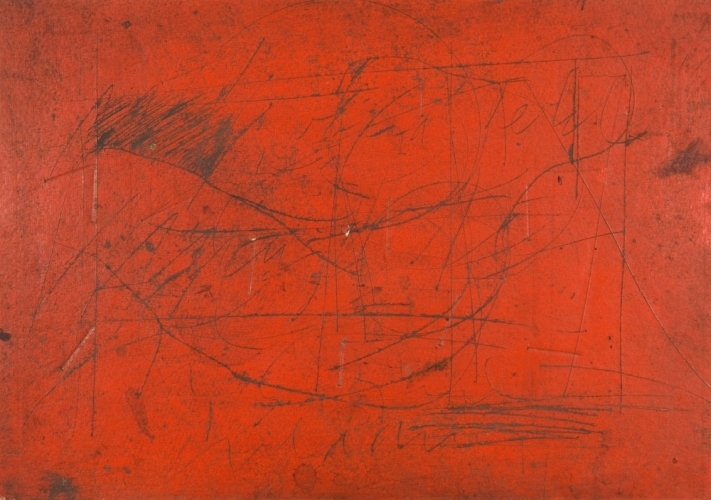 The gap between art of the 1960s and of the following period was bridged by Dalibor Chatrný’s work with writing and Jiří Valoch’s conceptual art. Chatrný accentuated different meanings of words and visuality, his works with colour spectrums bring to mind the Magritte-esque, somewhat problematic connection between artistic representation and language reference. Later, in the 1970s, the artist worked with opposites such as yes / no that may have also referred to the situation in Czechoslovakia in this period. Valoch’s variations on visualized texts are plentiful and include interventions into landscape, writing on photographs and verbal concepts that existed outside the official sphere of “art“. One of the artist’s objectives was to give words back their meaning, or even better, to fill them with new meanings, unspoilt by general usage.